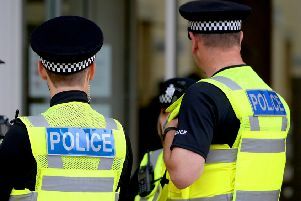 People living in Horncastle have been told to forget all about seeing more bobbies on the beat - because the force does not have the resources to deploy enough officers. Instead, the town will be increasingly reliant on PCSOs to patrol its streets. That is the message from Wolds Inspector Colin Haigh, whose division includes Horncastle, Woodhall Spa, Wragby, Tattershall and Coningsby. He was speaking at a meeting of Horncastle Town Council. Insp Haigh was replying to town councillor Jonathan Ferrari, who said that while PCSOs did an excellent job, they do not have the full range of powers of front-line officers. Coun Ferrari said highly trained response officers were based at Horncastle Police Station. He added that as the police now had a ‘marked’ parking bay in Church Street, perhaps those officers could patrol the town - even if it was for ten minutes. Coun Ferrari said: “As a councillor, one of the biggest concerns I hear is people would like to see more officers on the beat. “ PCSOs fulfil an important role but they do not have the power to arrest anyone. Insp Haigh said response officers had to be in constant contact with police HQ and that trials with new equipment enabling them to work remotely were still on-going.